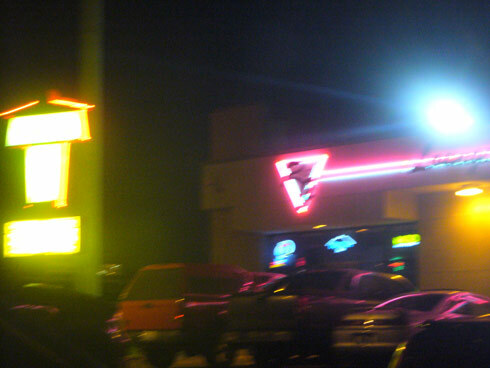 Scooter’s 414th bar, first visited in 2007. This was confusing because the marquee sign had me convinced this was a Chinese restaurant, but inside it was all bar. We played darts, surprisingly well for after 20 beers. A case of the hiccups frustrated me early in the game but I overcame them shortly. 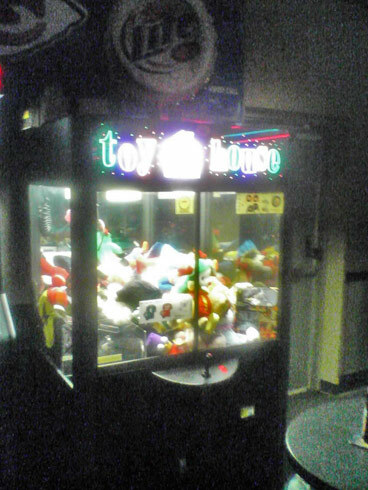 D noticed this claw machine and we realized we had seen about 4 of them during the day. Kind of an odd thing to see in a bar.